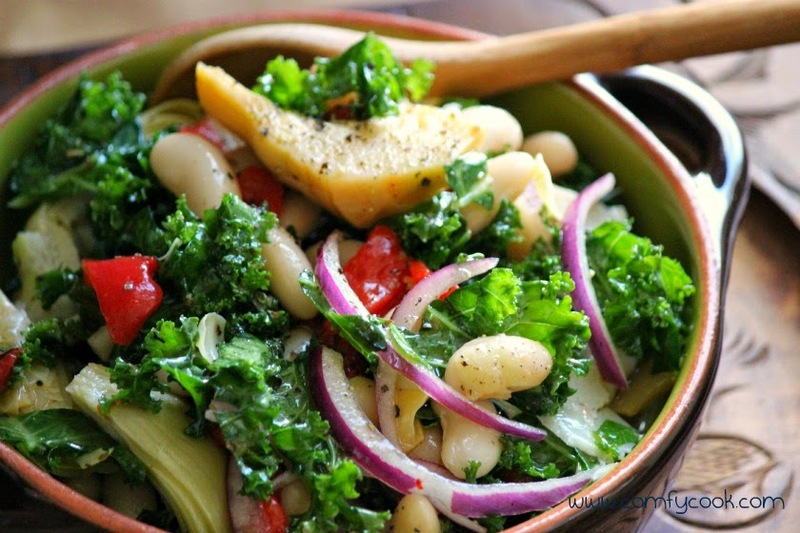 This quick and easy recipe for kale salad with marinated artichokes, cannellini beans and roasted peppers is sure to be come your favorite way to enjoy raw kale. You can vary the ingredients according to your taste. Massaging your kale makes it tender and sweet! Who knew we have to massage our food now! 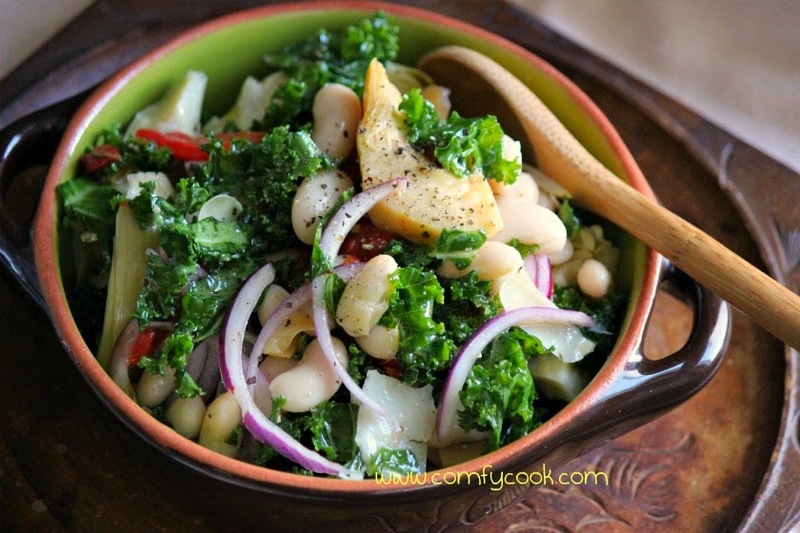 In a large bowl add kale, 1/2 tsp. salt, and 1 Tbsp. each of vinegar and oil. Massage until kale no longer sounds crunchy (6 or 7 massages will do the trick). Let sit for 10 minutes. Add remaining ingredients and mix to combine. Season with additional oil and vinegar to your taste. Refrigerate as least one hour to blend flavors. Right the recipe I was looking for. Thanks! !